Take a look below at some of our ‘How to’ bushcraft videos. It’s worth coming back from time to time as we try to add new bushcraft videos when we can. The newest videos will appear at the top of the page. This video was made by Rooster Teeth Productions as part of a series of challenges set for Burnie Burns’ assistant, Ellie. We had a fantatsic day and the video is great! 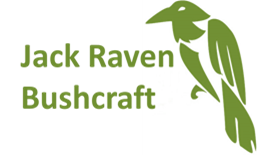 All of our bushcraft videos can be viewed on the Jack Raven Bushcraft YouTube channel.